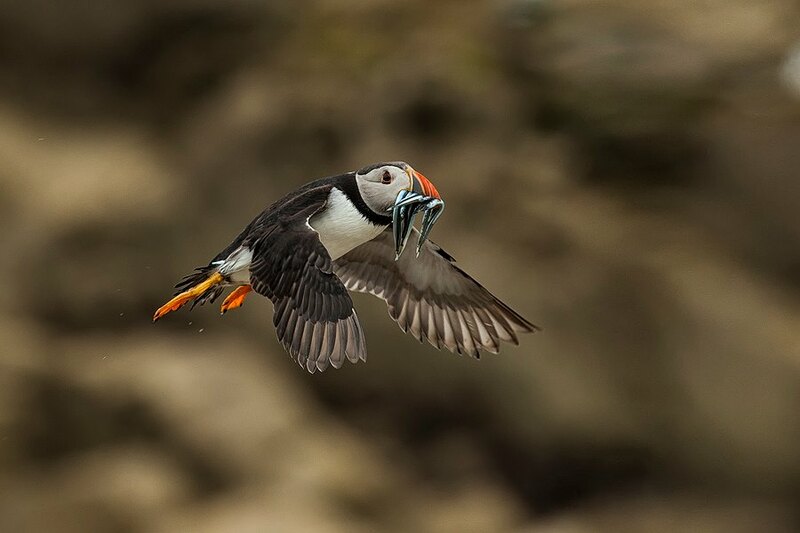 Wicklow town based photographer Brendan Cullen has scooped one of the top prizes at the Clean Coast Photography Awards, his picture of a Puffin taken on the Great Saltee island this summer took first prize in the Widlife section. The Clean Coasts’ Love Your Coast Photography Awards were held on Friday 10th October at 7.30pm in Waterways Ireland Visitors Centre, Docklands, Dublin. Professor John Sweeney, President of An Taisce presented the prizes to the winning photographers. To celebrate 5 years of the Love Your Coast Photography Competition the top images from past years were projected onto Boland Mills in a stunning photographic display that illustrated the wonder of our coast. Ireland has some of the most spectacular and diverse coastline in the world, Clean Coasts engages communities in protecting these beaches, seas and marine life now and for future generations. Clean Coasts launched the Love Your Coast Photography Competition in May during Coca-Cola Clean Coasts Week and with a prize fund of €4,000 it attracted huge interest from Ireland’s amateur photographers. There are four categories in the competition; Coastal Heritage, Coastal Landscape, People & the Coast and Wildlife & the Coast and with thousands of entries the panel of judges had a very difficult task indeed.